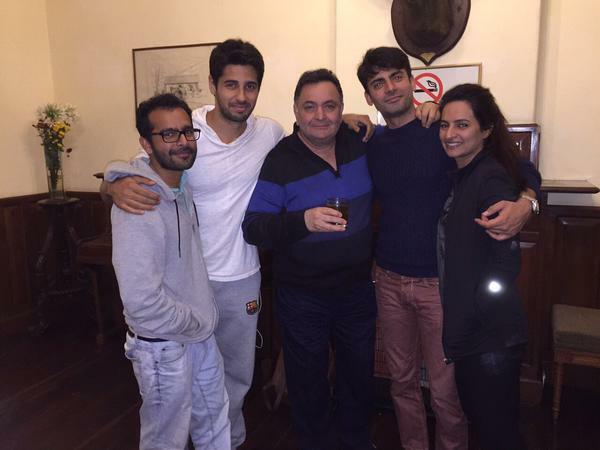 Trailer Release: Kapoor And Sons Story, Cast and Music Seems Like A Must Watch!!! Kapoor & Sons is a romantic comedy produced by Karan Johar’s Dharma Productions and directed by Sakun Batra with an intriguing cast will be an awesome treat to the audiences this weekend. Karan personally believes the cast is stylish enough to attract the audience. Sidharth Malhotra and Fawad Khan are brothers and the story revolves around them and the gorgeous Alia Bhatt. Rishi Kapoor will be playing grand-father of the male leads and we will also get to see Sanjay Dutt and Amrita Puri after a long time. The poster looks like a celebration and will surely be a change for this year where we saw some serious movies like Airlift and Neerja coming up. Music is composed by Amaal Malik, Badshah and Benny Dayal. Enjoy the trailer and write your reviews below and let us know your thoughts about the watching this movie. 12 Unfortunate Siblings Of Some Of The Successful Celebs Flopped In Bollywood!!! 16 Top Revenge Stories In Bollywood Movies Were The Most Successful In Box Office!! !